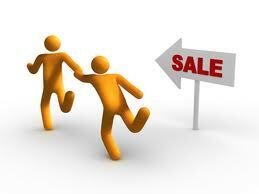 Salesmanship is very prospective career in the world. But this trend is not prevalent in Bangladesh. In this report, we have surveyed on ten sales people and tried to collect the problems, opportunities as well as prospect of their sales activities. From the survey, Fantastic Four team have seen sales people are facing lot of problems in their profession at the end the team has tried to give some suggestions how to solve their problems as well as tried to focus the future prospects of sales personnel and their profession. All of you (Fantastic Four) are requested to prepare term paper on ‘Prospect of Selling Opportunity in Bangladesh’ which contains in specific subject. In this case, you are to follow appropriate guideline of report writing. In course of report writing, all terms and conditions of report writing is to be followed. With due respect we want to state that we are grateful to you for allowing us to complete this wonderful term paper. We think this term paper will be very helpful for us in our professional life. By this term paper we could able to understand the problems and opportunities faced by the sales-peoples in the context of Bangladesh as well as the prospects of this profession. Again, we want to give thanks to you for teaching us this subject and always-outstanding cooperation with us. This project report is prepared solely for learning purpose, specifically to study the marketing strategy of a company (in this case, a soft drink company). The subject matter of the report is the marketing strategy of Global Beverage Company Limited (GBCL) for their soft drinks in Bangladeshi Market. The purpose is to learn from the real life scenario of a company related to its marketing strategy and to understand the factors and steps of effective strategic planning. Also, the purpose expands up to learning the methods and bases for setting company missions, goals and statements, designing and analyzing the business portfolio, developing strategies for growth and downsizing, and the rest of the marketing process supporting the marketing mix. Global Beverage Co. Ltd. is a concern of Youth Group, which is mainly renowned for excelling both in domestic and international apparel market. Presently, Youth group has twelve concerns under its conglomerate umbrella. Global Beverage Co. Ltd. chose the world famous brand ‘Virgin’ to enter the carbonated soft drink market of Bangladesh. So, this report covers three aspects of the same business. The first one is the Youth Group, Second is Global Beverage Co. Ltd. And the third one is International Virgin Group of UK. Learning the process of interview and research followed by professional report writing. Learning to analyze different aspects of business strategy and identifying the major role-playing key factors to focus on with special effort. Learning the steps of strategic planning and their coverage of activities as well as understanding the basis of company objectives and marketing goals. Learning the bases of designing a successful business portfolio. Learning to define strengths and weaknesses of a company and how to use/overcome them. 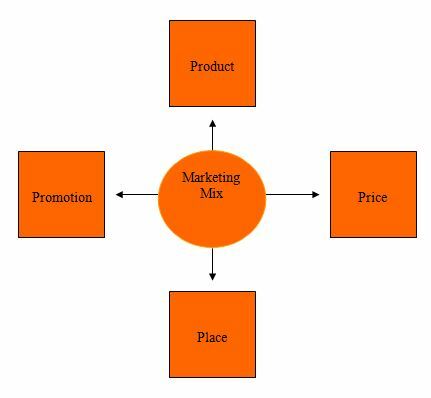 Understanding the dimensions of a marketing mix. 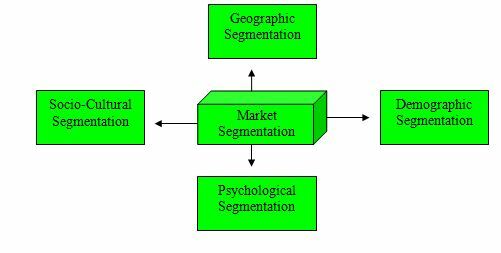 Understanding the consumer behaviors and learning how to turn them into competitive advantages in segmenting and targeting the market. It is for sure that the term “Marketing strategy” covers everything related to the marketing process. So for sure that everything cannot be covered in greater details while at the same time maintaining the page limit for this report. So, the research group has chosen some of the most important features of marketing process to focus on. Sales management is the attainment of sales force goals in an affective and efficient manner through planning, staffing, training, leading and controlling organizational resources. 1. Strategic or Top Managers- are the top of the hierarchy and are responsible for the entire organization. 3. Operational or First-line Managers- are directly responsible for sales of goods and service. ( ex- Assistant District or district sales leader or Manager). There are three category of customer of our country as all over the world. They are given in below. Our target customers are middle class and lower class people. Because we set the price on the basis of our peoples purchasing power, economic condition and geographical location. Consumer consistent preference or purchase of the same brand in a specific product or service category. Brand loyalty don’t come easily, it depends on products flavor, color, customer economic or regional condition. A. Sales trainee, salesperson and key account manager are typical career steps taken before becoming a manager responsible for sales people. B. District Sales manager- manager that is responsible for usually three to ten sales people in on district. This is the beginning managerial level. D. Zone sales Manager- Level of sales management responsible for three to five regions. Conceptual and decision skill- the cognitive ability to see the organization as a whole and the relationship among its parts. People skills- the manager’s ability to work with and through other people and to work effectively as a group member. Technical Skills- the abilities to perform a specialized task that involves a certain method of process. 3. Responsibility change- A managers supervise and speak for a group of people, in addition to completing administrative task. As a person moves up in the management ranks, more and more time is spent achieving result through other than on selling. A fully automated carbonated soft drink producing unit of GBCL is located at Joydebpur, 60 K.M. away from the capital city Dhaka, with good road communication facilities. The market response was astonishingly good. As a result, GBCL thought to expand and diversify its products. In April, 2000 the company introduced all of the four flavors in 1.5 Lt. PET bottles in the market. In order to do that the company invested couple of million dollars in importing bottle-manufacturing state of the art Japanese bottle making machine & from Korean bottle filling line. At present this factory, with more than 115 all local working people, have been successfully producing very high quality soft drinks for the local consumption within the country (Bangladesh). The Virgin beverages business started its operation in 1994. Having initially launched with Virgin Cola in the UK, it has grown rapidly by expanding into new products, packages and territories. Virgin Drinks now operates in 33 different territories worldwide. Virgin Drinks operates in large and growing markets (carbonated soft drinks worldwide: 177 Billions litres; growing by 2% per annum) and is currently present in 3 main products areas: cola, fruit flavoured drinks and energy drinks. At the same time, Virgin Drinks is developing new soft drink concepts, responding to evolving consumer trends and sometimes even creating new segments. These objectives are also shared by all the individual franchisees of Virgin Group worldwide. The franchisee of Virgin in Bangladesh that is Global Beverage Co. Ltd. too is not an exception. So, these are the company objectives of GBCL also relevant to its products’ feature. Dhaka, Chittagong, Khulna, Rajshahi, and Sylhet. But the region of Barisal is still out of their full coverage. So, if marketing efforts are given carefully, then this region may become a real good opportunity to increase the sale of the company products. Possession of the credit of being the pioneer in the Slim can trend. GBCL is the first ever soft-drinks Company in the Bangladeshi market to introduce 250ml slim can that offers some real attractive ‘convenience’ features. Marketing communication can be utilized in an effective manner, then this advantage of being the pioneer in this trend can promise good opportunities to create a lasting impression in the customers’ minds as well as it can form a strong basis for the advertising strategies. Just within three years of operation in a total new and risky market saturated with various brands of soft drinks, the company managed to convince a good number of people to be loyal to the brand Virgin. It has got the highest share of cola drinks in the segment of 250ml slim can. This is really a major strength GBCL has achieved. If the company can hold its performance for upcoming years, it can expand this strength to all of its other segments of product varieties. They can make it an opportunity for capturing the highest loyal consumers. The range of flavors (colours) is also strength of Virgin products that the company can easily accomplish totally by effective marketing communication and motivation. Though it started other colors- flavors (unavailable in the CSD market of Bangladesh) in the market experimentally last year in December, but for lack of proper advertising and positioning, the project failed. But this can really become an opportunity in near future in case of the market reaches in such a state when consumers feel the need for diversities. But the company has to make sure that the advertising (consumer communication) strategy is perfect and oriented to the consumer needs. They also have to ensure that the product positioning strategy is unique. Also, GBCL is recently thinking of entering the market of Mineral Water in near future. As it has all of the production facilities of its own, it can easily, successfully and profitably enter this new business. Like any company in such a competitive and price sensitive market, this specific Bus Company has some strengths and weaknesses in its entire marketing strategies, which we discussed in the following points. · Slim cans are more portable and mobile than glass containers which soft drink companies like Coca-Cola and Pepsi use. · Slim cans are also more popular than fountain drinks, as they can be consumed within a longer period of time. · In the context of hygiene, obviously cans are preferred as they are packed up in more sterile environments. · Cans are considered more attractive to customers than bottles or fountain glasses. Another major point would be the price-amount-convenience factor. In this case, Virgin’s slim cans are worth Tk.15, the volume being 250 ml. In case of Coca-Cola or Pepsi, the price is Tk.25, and the amount is slightly more, about 350 ml. thus, comparatively we can say that the price of Virgin cans in correlation to the amount is cheaper than that of its competitors. In the case of PET bottles, just recently Virgin has reduced the price of its 1.5 Ltr PET bottle from Tk.40 to Tk.35. The 1.5 Ltr PET bottle introduced by Coca-Cola, Pepsi and RC cola costs consumers Tk.40. Before Eid festival of the year 2003 (this year), Virgin’s 1.5 Ltr bottles were also worth Tk.40. Another advantage Virgin has is the 250ml. PET bottle, which is both portable and very cheap, worth Tk.10 only. Therefore these price-amount-convenience related comparisons are completely favourable for Virgin. A prime factor to take into consideration of any food product is quality. As Virgin is a franchise, all productions are monitored by the foreign management, thus the quality is always maintained at the top premium level. Although quality wouldn’t prove to be an advantage over Coca-Cola or Pepsi as they are also franchises, it can be used as strength against other local competitors such as RC, Sun Crest and Uro cola. Insufficient financial support is one of the major problems for the GBCL being such child in the soft drink market with comparison to giant like Coca-Cola and Pepsi. Virgin’s distribution channels are weak compared to that of its competitors. Because of lack of financial support, Virgin cannot advertise as much as its competitors. Increasing campaigning for their products will not be cost efficient or profitable. Although Virgin does have promotional campaigns via newspapers, television, billboards, stickers and danglers, it is not enough compared to its competitors. This is a major weakness for Virgin as it causes loss of relatively high market share. 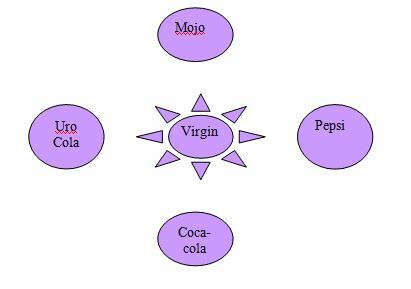 Virgin does not organizes or sponsors any kind functions, sports festivals or music concerts like Pepsi and Coca-Cola and Pepsi usually do. So they lacks in promotional concepts. The Virgin Cola factory is located in Gazipur, and this is also weakness for Virgin. Distribution cost for the products become relatively high, and there are other factors such as transportation problems. In rural areas such as Gazipur, under circumstances of communication crisis, it can create a really big haphazard in distribution process. The road conditions are not very satisfactory, and in case of an emergency, it will be very hard to access the factory to solve any problems. Weather conditions will also affect the distribution process, as during bad weather conditions it would slow down the process. Telecommunications scope with Gazipur has not been established yet to a full extent. Therefore the location of their factory is quite a big weakness for the company. After analyzing all these strengths and comparing with its competitors in the same market, the competitive advantages and disadvantages are clearly predictable. But before we go to analyze competitive advantages and disadvantages, let’s take a short look at the competitors. 4.1 Competitors: to find out selling opportunity sales person need to know the competitors strategy and their marketpositionand strength and weakness. 250 ml disposable and portable metal can. 250 ml disposable, conveniently portable, light PET bottle. Recently other companies also introduced slim metallic cans in the market. If Virgin cannot place the fact in the consumers’ minds that they are the pioneer to launch this feature, then Virgin can lose its market. They not yet introduced any 2 Ltr. packages like many other competitors like RC and Pepsi did. They don’t have any premix machine or fountain glass package. The factory of Virgin is outside the boundary of Dhaka City or any other major cities. Distribution channel is weaker than many other competitor companies. GBCL lacks efficiency in their promotional efforts. Like – Sponsorship of programs. A sales person needs to know different things about the sales. It depends on the following points. We can achieve consumer attraction by giving some sales promotion activities and advertisement on different media. So that people get more information about virgin easily. a) Point of sales: From sales point by poster, banner, sticker, leaflet, news paper ad. b) Electronic Media: Television and radio although the radio is not a prominent one to reach the targeted market. c) Outdoor Media: Billboards, Danglers, Buntings, Scrolls. Virgin uses both print and electronic media for ad campaign to draw the customer’s attraction. It regularly ads on TV, radio, and newspaper with repetitive theme and with same slogan. From the beginning to present they use one main slogan “ Its your Life, colour it” which is successful to draw the customer interest. It changes their ad messages from time changes and from different perspective. Though Virgin’s central theme and slogan was maintained, the message was presented with variation to gain the audience. To attract the retailer Virgin maintains the distribution margin and retailers margin relatively to their competitor. Virgin has low cash involvement from the retailer’s side with timely delivery and availability. The other factors are, its packaging is long lasting and offers a long shelf life. It needs low shelf space compare to conventional bottle. The attractive package of Virgin enhance the beauty of the shop which also made the retailer to willing to keep this brand in their shop. Today’s companies must urgently and critically rethink their business mission and marketing strategies. Instead of operating in a marketplace of fixed and knows competitors and stable customer preferences, today’s companies work in a war zone of rapidly changing competitors, technological advances, new laws, managed trade policies, and diminishing customer loyalty. Companies find themselves competing in race where the road signs and rules keep changing, where there is no finish line, no permanent “win”. They simply must keep racing, hopefully in a direction where the public wants them to go. The same picture is seen in the beverage market. In this oligopolistic market, not many players are there. However, it is always difficult for the new companies to enter the market. Global Beverage Company Ltd. has recently come into the market with Virgin products. The beverage industry in this country has not become very large yet. Even no comprehensive research has been done for this industry. However the industry is growing every year. Marketers assume that it has a growth rate of 15%-20% per annum. The current situation of the beverage market is favorable for Coca-Cola. Coke is the market leader with the largest market share in Dhaka city. Their brand image, effective distribution channel and marketing strategy are the key factor for their success. On the other hand, GBCL has the 3rd largest market share in our country. As a new brand , Virgin products are comprehensively doing well compare to other newly introduced beverages. The company has not yet built up any proper promotional activities for the traders, but hey are soon going to develop one. Although the company has a wide distribution channel ,yet the products are not as available as Coca-Cola. In the competitive market, there are opportunities Global Beverage to expand its market share and target markets. Virgin strength lies on their skilled personnel, strong back up by the mother concern group and the quality of their product . Schiffman, Leon G.(2007) “Consumer Behavior” Prentic-Hall of India, 8th ED,PP –(50-67). Internship report on Current Market Position and Prospect of Danish Biscuits in Dhaka City.